By 1986, Howard Blackmore had compiled his monumental record of London gunmakers. 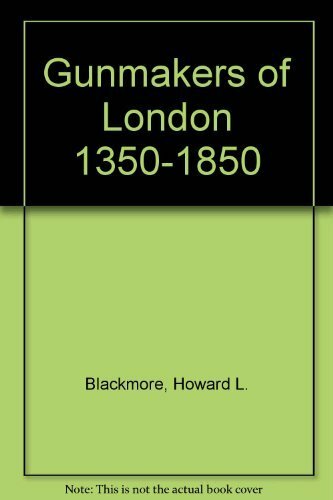 It was published in England under the title A Dictionary of London Gunmakers 1350-1850 and in America with the title Gunmakers of London1350-1850. This Supplement begins with a new introductory chapter on the .Foreign. gunmakers followed by records of all of the new information found about previously unidentified armorers, gunmakers and gunsmiths. Where new information has been located about those who appeared in the Dictionary,they too have been included in an updated entry. A LIMITED NUMBER of the original edition Gunmakers of London 1350-1850 We have been able to acquire the available stock of the first American edition (the English edition which had a £70.00 list was out of print many years ago). These will be sold with the Supplement as a pair.